Bonsai Focus Magazine International offers a special Bonsai Tour to Japan and the WBC. Every 4 years the World Bonsai Friendship Federation holds a World Bonsai Convention somewhere in the world. The 1st WBC was held in 1989 in Omiya (now Saitama city), Saitama, Japan hosted by the Nippon Bonsai Association. 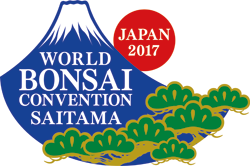 After 28 years the World Bonsai Convention will return to its birthplace and the Mecca of bonsai, known as Omiya Bonsai. Over 200 Bonsai, Satsuki, Shohin, and Suiseki masterpieces will be on display. An extensive sales area with professionals in Bonsai, stands, tools, pots etc. Masahiko Kimura, Hiroshi Takeyama, Kunio Kobayashi and Shinji Suzuki. Minoru Akiyama, Shigeo Isobe, Chiharu Imai, Taiga Urushibara, Kenji Oshima, Isao Omachi, Takashi Sakurai, Masayuki Fujikawa, Mitsuo Matsuda. [Europe] Werner M. Busch, [Africa] Hannes Fritz, [India] Jyoti & Nikunj Parekh, [China] Zhao Qingquan, [Asia Pacific] Michael Siow Chee Long, [Australia] Lindsay Bebb, [North America] Björn Bjorholm, [Central and South America] Juan Andrade. Stroll through the famous gardens, all of which will be open during the WBC. No entrance fees. Omiya Bonsai Art Museum, Kyuka-en, Fuyo-en, Mansei-en, Seikou-en and Toju-en. There is also the old Hikawa-jinja Shrine. Departure Flight from USA, Europe, Canada etc. to Osaka - Japan. Assemble all participants at Bonsai Focus tour desk in the hotel lobby. *A deposit is required for confirmation of reservation. **Subject to exchange rate at time of payment. Hotel**** accommodation with breakfast. Based on shared double or two bed room. Transportation between hotels and to events in the program by train or coach. English speaking tour guide. We offer German, French, Spanish and Italian guides for groups of 15 participants. Entrance fees for gardens and sightseeing tours. Tour desk in Hotel lobby. Suica travel card for JR-line trains in Tokyo. Flight to Japan. It is advisable to let our tour operator book the flight for you so you can benefit from special group rates. Meals/beverages which are not mentioned in the program. Individual tours to Omiya Bonsai Gardens etc. Personal expenses like; laundry, telephone, tax and service charges, excess baggage, extra tariffs and charges for transportation.